Alan 'Doc' Mackenzie holds a Bachelor of Medicine and Bachelor of Surgery. 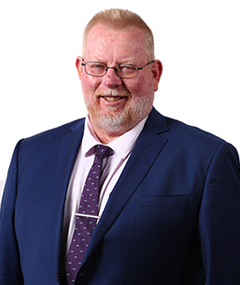 Alan has been a Company Director (President) since 1973, a self-employed owner of Surfers Paradise Medial Centre since 1972, and current Board Member of Gold Coast Suns. Bob has been Vice President of the Southport Sharks since 2004. His contribution to Gold Coast football is exceptional. Bob is actively involved in Football and has a key involvement in the operations of every Sharks game. Ron has been a company director since 2007 and has been Company Secretary since 2007. He holds a Diploma of Sales & Marketing and has been actively involved in the club for over 15 years. Shaun has been Treasurer of Southport Sharks since 2012. His qualifications include Diploma of Financial Services, Diploma of Accountancy, Fellow NTAA and Registered Tax Agent Shaun has been a Company Director since 2009 and is Principal of an Accountancy Practice. Rick's qualifications include Commercial Cook and has experience as a company director since 1995. Clayton completed a Bachelor of Laws Degree and was admitted as a Solicitor in New South Wales and Queensland in February 2002. He is also a graduate of the Australian Institute of Directors (GAICD) and holds a Diploma in Financial Services (Dip FS). Clayton serves on numerous boards including Southport Sharks. A current director of Southport Sharks, Paul has a long history with the Sharks and Gold Coast community. Paul has been a Company Director Since 2004. Adam holds a Bachelor of Architecture and has been a company director since 2001. Royce is a Southport Sharks Hall of Famer, Best & Fairest winner (1991) and premiership player (1992). Royce has been heavily involved in Southport Junior and Youth football development on the Gold Coast and has been player-manager for several young Queenslanders who have progressed to AFL level. Royce has been a Company Director since 2016.